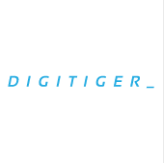 DigiTiger is an innovative full-service digital agency integrating design, technology and creative minds. Our clients include some of the most renowned brands in healthcare, automobile, industry, technology sectors. We are designers, programmers, copywriters, 3D engineers, and communication experts working together. We innovate new ways to collaborate closer, we embrace our unique Responsive Team culture to become a highly efficient multidisciplinary team, supporting our clients continually explore new frontiers of integrated communications. We are fast growing and always hiring.